Hair pads for keeping hair in place and away from face. Lightweight accessory with Velcro-like hooks that keep hair gently in place. 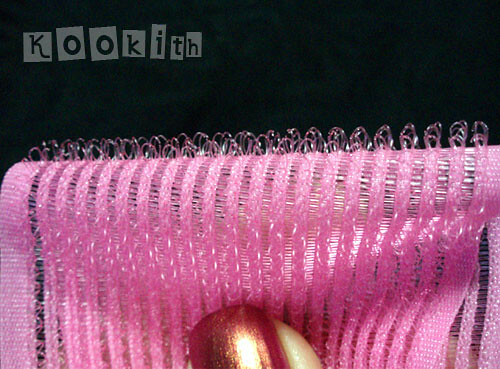 Use to hold bangs or wisps away from your face during washing, skin care or makeup routines. Abbamart is excited to offer professional-grade cosmetic tools at a price that won’t limit your possibilities. Because Abbamart is owned by its supplier, you get true factory-direct pricing, just like the high-end brand names that buy and resell brushes under their own label. I stupidly decided to have bangs a few months ago, and I’m really paying for my vanity now. My bangs are at that annoying length whereby they’re poking into my eyes while obscuring my vision completely, all at the same time! 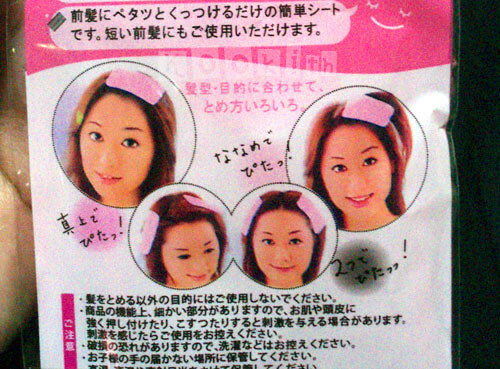 I thought this was a weird gimmick but when I saw how cheap the hair pads were, I thought, “Well, why the hell not?”. Guess what, THEY WORK! All I had to do was sweep my bangs to the side and slap the hair pad on. It held my hair up nicely and I tried to test it by jumping around my room, shaking my head like a lunatic at a heavy metal concert. The hair pad didn’t fall off like I’d expected it to. When I removed it, it didn’t leave my bangs all bent and floppy like it would have, had I used a hairclip or hairband. The Japanese are utter geniuses, I tell you! They always find the simplest ways to solve problems that people face in their everyday lives, which seem small and mundane when compared to say, global warming. In case you were a science geek like I am and wanted to know the secret of the hair pads, here it is: TA-DAAA! 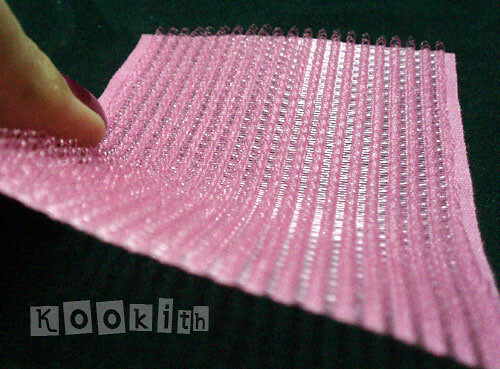 We all know what a velcro strip is made up of – hooks and loops. The hooks hook onto the… yup you’ve guessed it… loops. 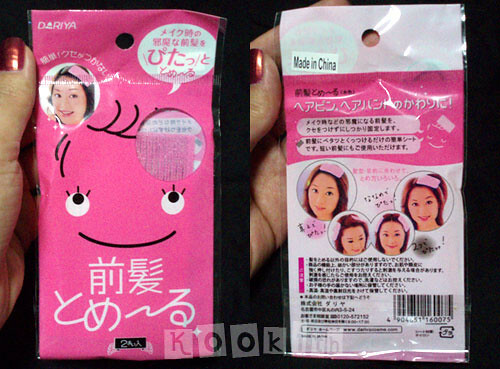 The Japanese hair pads are made up of countless tiny hooks, exactly the same as on the velcro strip. These hooks catch onto your hair and hold them securely enough to keep your hair up when you’re putting on make up, for example, or bent over the sink washing your face. The hooks are flexible and gentle, and do not cause pain at all. Removing the hair pad from your hair is so easy, a baby could do it. Anyway, the hair pads are of extremely good quality. I don’t know what synthetic fabric they’re made from, but the material is soft yet durable. I’ve used them while I’m in the shower and they don’t mind getting wet. I wanted black, as I have black hair and didn’t want to walk around the house with 2 pink patches on my head. I’ve seen the black ones sold elsewhere (for a higher price) but unfortunately, Abbamart only had pink ones. 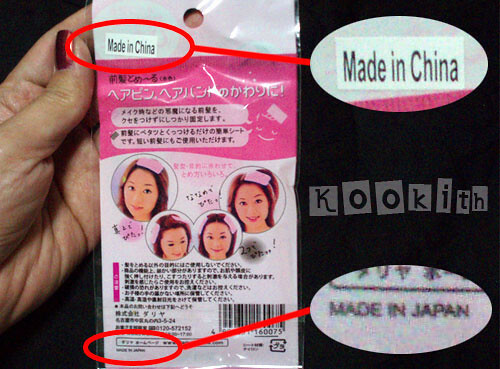 I also found it highly amusing that the sticker on top said Made in China, while at the bottom, the words Made in Japan were printed on the packet. So which is it? 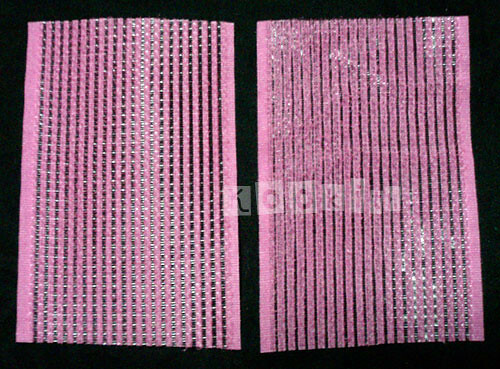 USD $1.10 per pack, contains 2 pieces. I love shopping at Abbamart. The prices are affordable, the products are really good quality (I have several of their makeup brushes, and they are AMAZING! AND SOFT! AND CHEAP! Reviews to come another time. ), and their customer service is excellent. They are generous with freebies and sometimes I receive little surprises in my packages. This is one of my favourite companies to shop from. Awesome stuff! Joking aside, I really recommend Abbamart. I find their Toray brushes amazing! Yay! Let me know if you like it 😀 I hope you do though, I’d feel bad recommending something and then having it disappoint you.